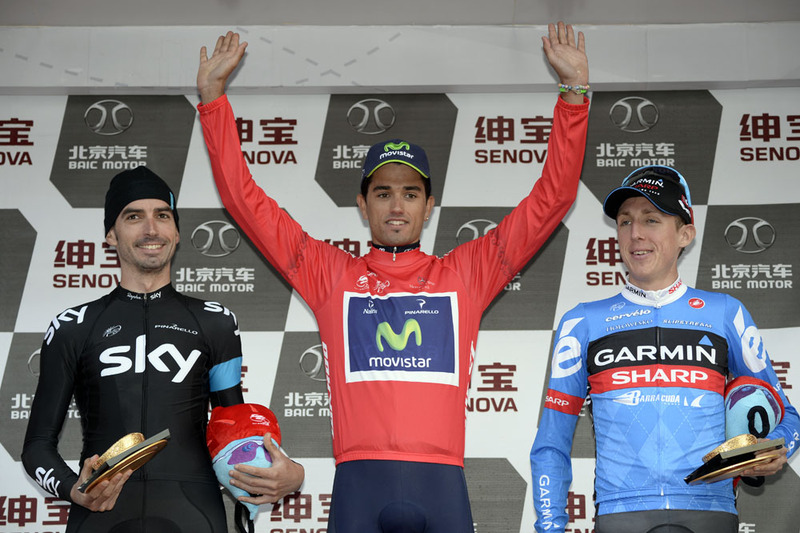 The 2014 WorldTour comes to a close this week in China, with the five-day Tour of Beijing. This will also be the last ever Tour of Beijing, which has been cancelled after just four editions after the UCI opted not to extend its contract with race organisers Global Cycling Promotions. In its four year stint, the race never really captured the imagination of the cycling world. Dull routes and an absence of roadside spectators meant the race failed to exhibit much of an atmosphere, and its position at the very end of the calendar made it even less appealing – a long flight eastwards after a whole season’s racing is a very tough sell to exhausted cyclists dreaming of the winter off. One incentive has been the prospect of WorldTour points, but this has proved insufficiently alluring to convince Alberto Contador (Tinkoff-Saxo) to turn up. Despite lying second in the WorldTour rankings behind Alejandro Valverde (Movistar), the Spaniard is skipping the race as a precautionary measure having injured his knee in a crash at the Tour of Lombardy last week. “The Tour of Beijing is not among the most important races on the calendar”, he damningly stated, and his absence has also prompted Valverde – now sure of victory in the WorldTour – to also withdraw, robbing the Beijing organisers of the big-name showdown they’d been hoping for. The roster is not devoid of big names, however. Former world champions Philippe Gilbert and Rui Costa, Tour of Lombardy winner Daniel Martin (Garmin-Sharp), Olympic gold medallist Samuel Sanchez and Colombians Rigoberto Uran and Carlos Betancur are all set to start, although how competitive they’ll ride remains to be seen. For Sky, Ben Swift and Edvald Boasson Hagen could feature in the sprints, while David Lopez, Philip Deignan and the departing Dario Cataldo may have a rare chance to ride for themselves when the road goes uphill. Britain will also be represented by Simon Yates, who rounds off an eye-catching first season as a pro for Orica-GreenEdge, and Steve Cummings (BMC), who finished fourth overall in 2011. He’ll probably have to wait until stage five of this race, following the usual procession of bunch finishes. Both stage one (starting in Cong Li and finishing in Zhangjiakou) and stage two (also starting in Chong Li but finishing in Yanqing) feature a few small hills early on, but are mostly downhill and look guaranteed to end with the peloton all together. Stage three from Yanqing to Qianjiadian Chao Yang Temple looks a little more inviting for opportunists, with a total of seven classified climbs. But none of these are particularly difficult and the last is situated eleven kilometres from the finish, while last year’s equivalent stage, which followed the same route, ended in a sprint won by Nacer Bouhanni. Stage four also has a similar look to it as 2013’s, starting in Yanqing and finishing atop the Mentougou Miafeng Mountain. At 12.6km in length and with an average gradient of 5.7%, this climb is difficult enough to cause decisive gaps between the riders, ensuring that the battle of the GC will be decided here. The fifth and final stage is more of a processional affair, taking the peloton from one famous landmark (Tiananmen Square) to another (the Bird’s Nest Olympic Stadium) on a 23 kilometre circuit tackled twelve times, where the final edition of the Tour of Beijing will come to a close. The Tour of Beijing will be broadcast live on British Eurosport every day from 8:00am to 10:00am.